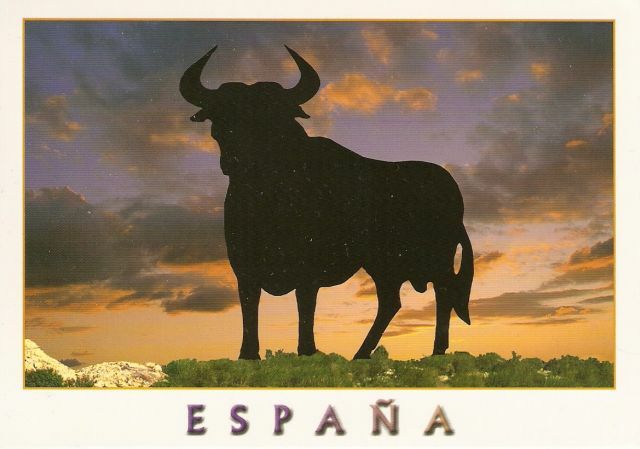 My dear friend Ena went to Madrid a while ago and brought back some lovely souvenirs, including a nice magnet for my fridge and this wonderful postcard. 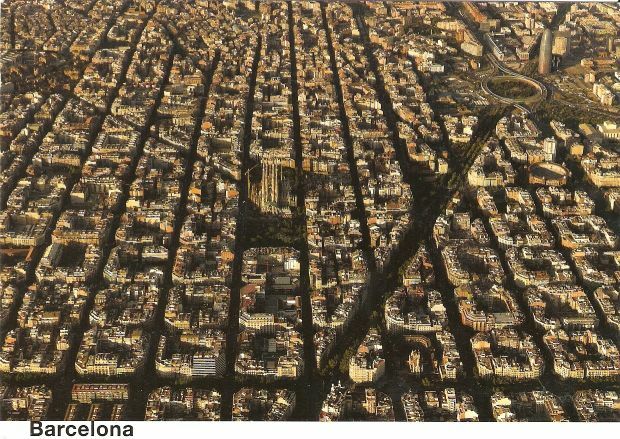 My dear pal Anu sent me this postcard from her trip / honeymoon to Barcelona. I love Barcelona, I’ve been there a few years ago and I loved how beautiful the city was. 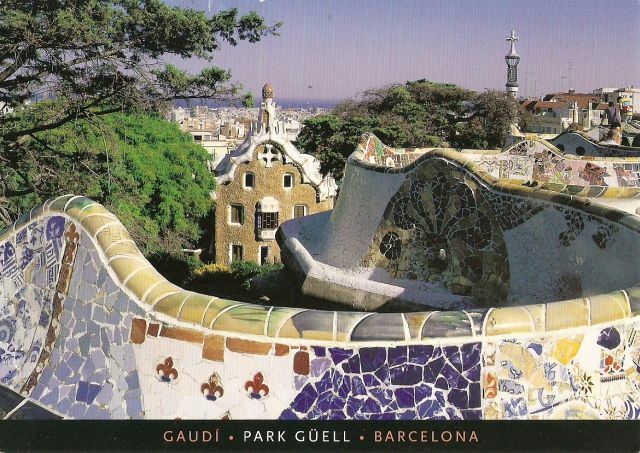 This postcard shows Park Güell, a garden complex with architectural elements situated on the hill of El Carmel in the Gràcia district of Barcelona. It was designed by the CatalanarchitectAntoni Gaudí and built in the years 1900 to 1914. It is part of the UNESCO World Heritage Site “Works of Antoni Gaudí”. 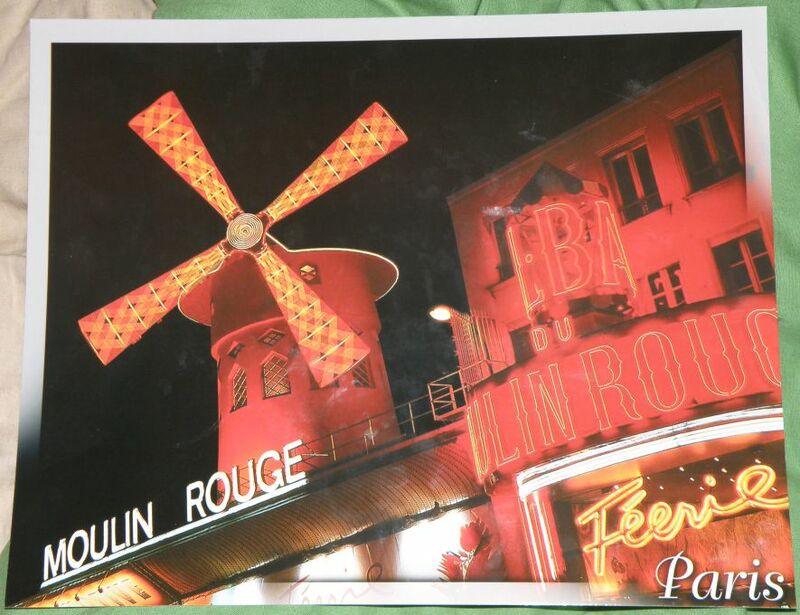 This is a cool postcard I got through a trade with Fabienne from Spain. It shows the Osborne bull, which is a 14 meters high black silhouetted image of a bull in semi-profile, and is regarded as the unofficial national symbol of Spain. The bull was created in 1956 by Manolo Prieto. The Osborne sherry company (founded by Thomas Osborne Mann in 1772) erected large images of bulls starting in 1956 to advertise their Brandy de Jerez. Nowadays the conservation of the bulls is handled by the family of Félix Tejada. 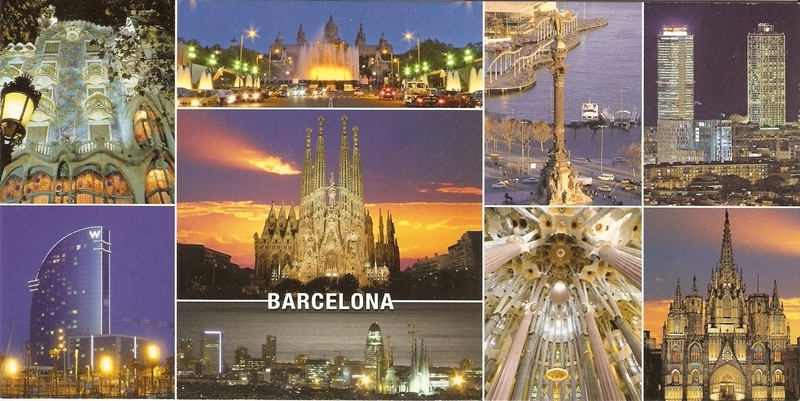 My dear pen pal Nina spent a month in Barcelona and has sent me this lovely postcard! I love how the city looks from the air! 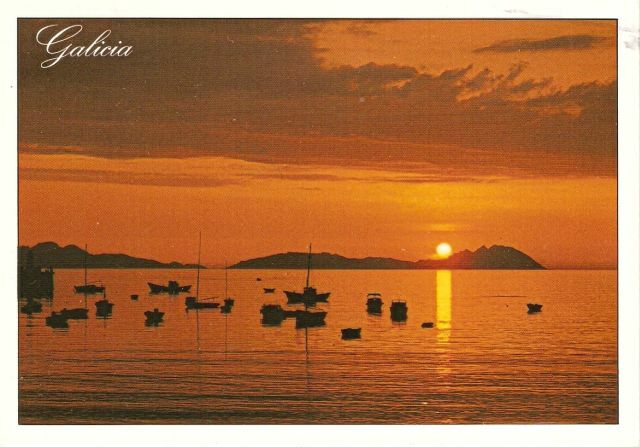 Today I got another official PC card from Spain, This town from the region La Rioja. Pretty stamp too, but I didn’t scan it this time.